We are your reliable healthcare training center in the area. Get to know more about us. Our mission is to provide higher education to students who are interested in pursuing an education towards a new path. The certified instructors at BOL ensure that our students are fully prepared to meet the workforce challenges that they will face upon graduation. Our goal is to motivate our students in their pursuance of personal and professional goals to become productive members of the healthcare team, while building their confidence to continue with a desire to learn more. Nursing Assistant classes in Augusta. Stephanie and Harold Carter begin Breath of Life Training in 2010 with only doing the services of fingerprints and CPR to the community. We felt there was a need in the community for quality medical education at an affordable price with a family environment. So in 2015, Stephanie and Harold Carter started their Nurse Aide Program and it has grown from there. We started off as a small business helping the community and now we’re a well known established medical school in the CSRA still providing awesome services to thousands, daily. 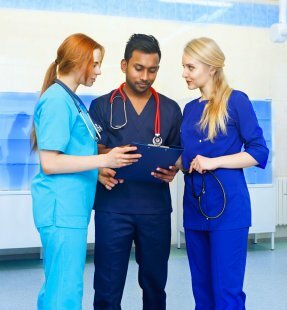 We at Breath of Life Training strive to be the best choice of standardized healthcare education in Georgia and South Carolina. If you need further information, please don’t hesitate to contact us at your convenience. We are here to serve you.